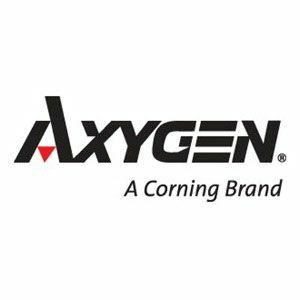 The Axyspin is designed specifically for quick and easy centrifugation of samples in PCR plates or microplates. 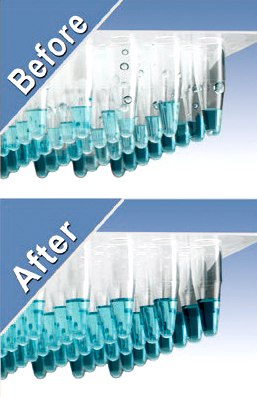 It can be used before and after thermal cycling to improve PCR yield and accepts skirted, non-skirted and all standard PCR plates. 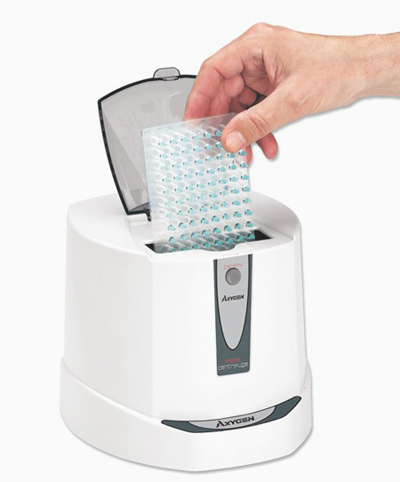 Accepts skirted and non-skirted and all standard PCR plates.